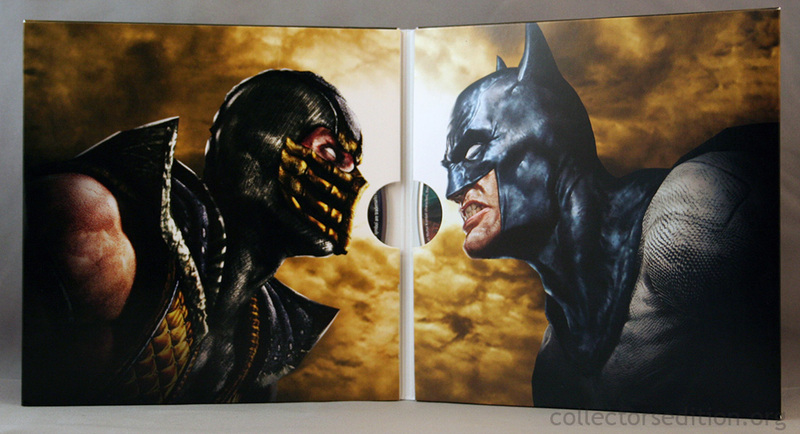 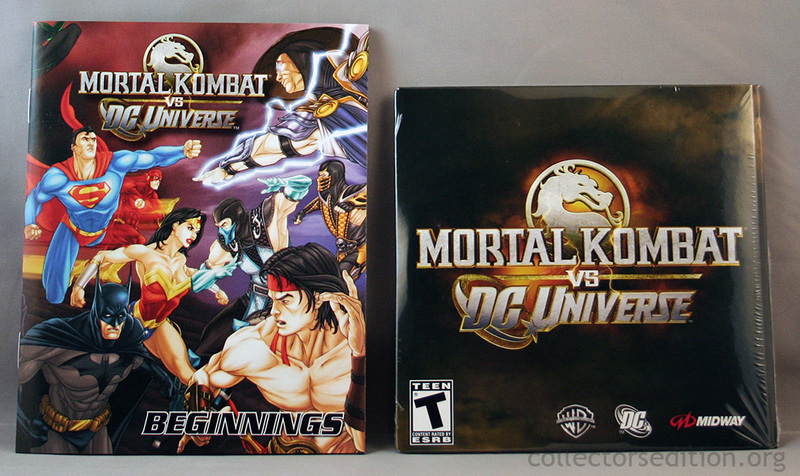 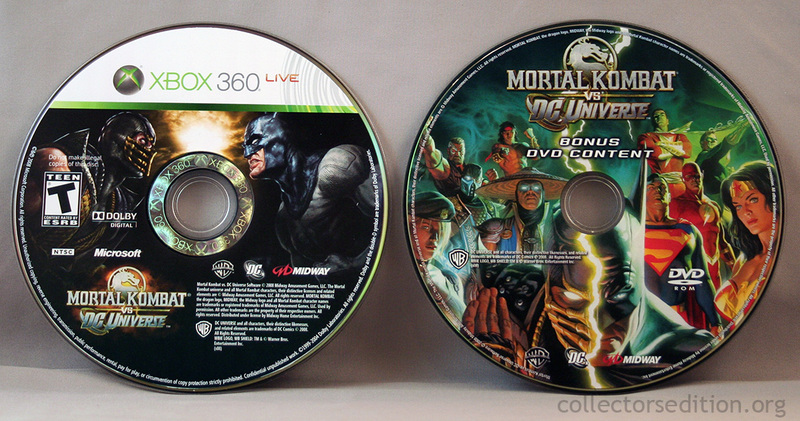 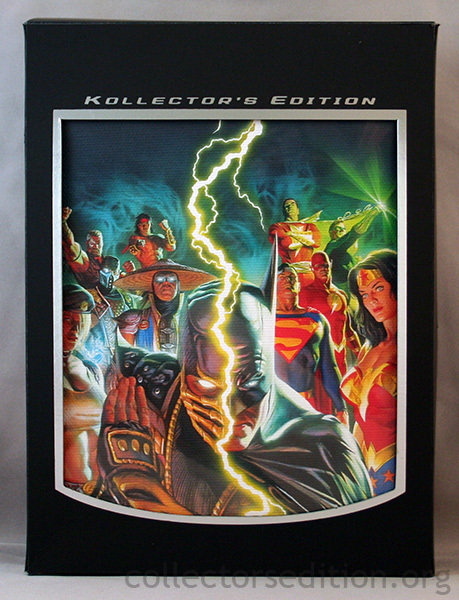 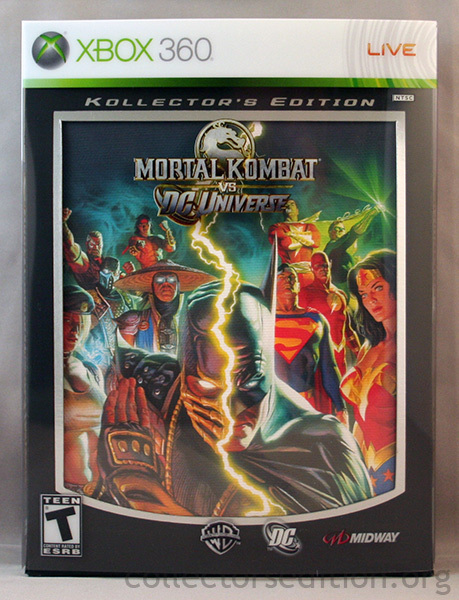 The Kollector’s Edition of Mortal Kombat vs DC Universe comes in a rubberized cardboard case with a plastic slip cover. 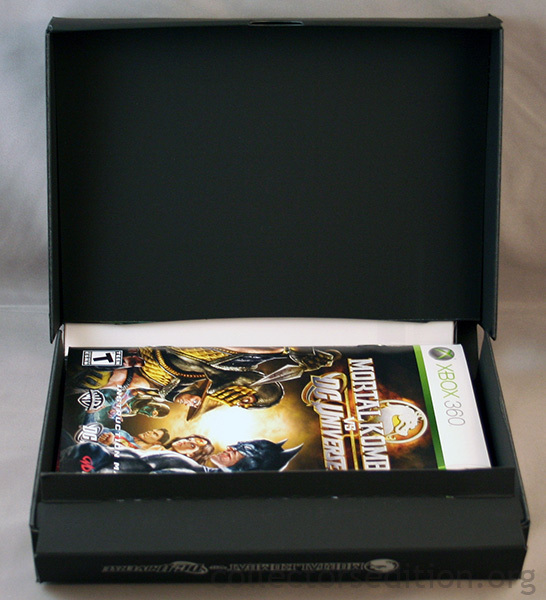 The cover art is removable and the game and bonus discs are contained in a 2 disc cardboard wallet inside the larger case. 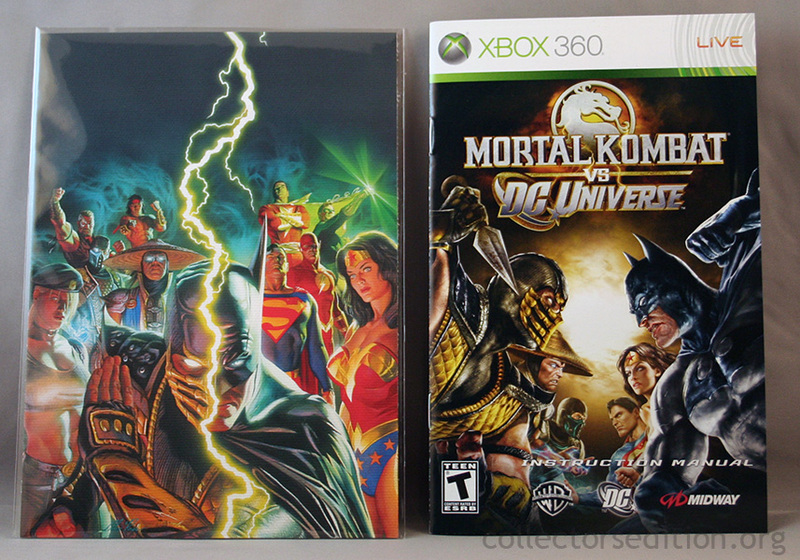 Also included is the regular edition game manual and a paperback comic book. 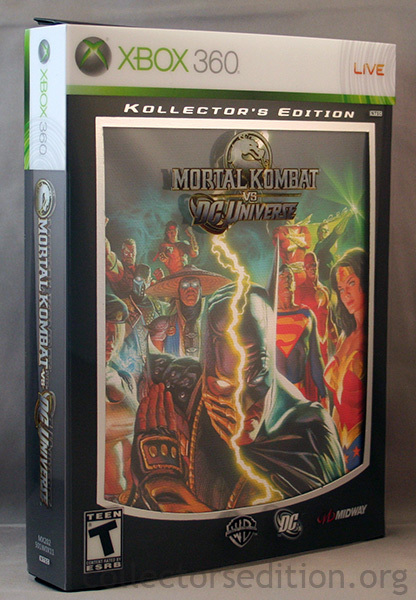 This entry was added to the database on Sunday, September 28th, 2008 at 9:11 am by Michael Pica. 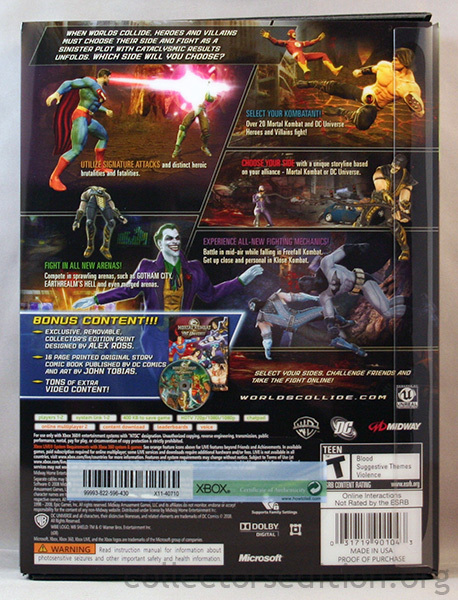 This information was last updated on Thursday, March 19th, 2009 at 10:24 am by .